Learn how two popular paint products can each achieve such a wide range of style—from distressed color washes to bright opaques—and how to choose the right one for your next project. It’s not how you start, but how you finish, as the adage goes. But when it comes to painting, the materials you choose at the start of your project are key in determining the (paint) finish on your home interiors, exteriors, and furnishings. That means you need a clear idea of what you want and how you plan to achieve it before execution. So what is one to do when interested faced with two wildly popular decorative paints that, on the surface, seem rather similar? Such is the case for milk and chalk paint: Their comparable appearance often leads to a muddled understanding of their characteristics, uses, and application techniques—leaving many DIYers with a glazed-over expression about which to use. Brush up on the facts about these two unique products to learn which is best suited for your next paint project. The confusion between milk and chalk paint can be chalked up to their numerous and beneficial shared traits. Both are fast-drying, environmentally-friendly, easy-to-use paints that can be applied to either indoor or outdoor surfaces to confer a solid or distressed ivory hue—even mixed to produce custom colors. Milk paint considerably predates its lookalike, all the way back to colonial times due to its easily-sourced, all-natural ingredients. These include limestone, clay, pigment, and the milk protein casein from which the paint derives its name. Most often sold in powder form, milk paint tends to cost less than chalk paint, but it must be manually mixed with water before application, lending it an overall thinner texture. Chalk paint, on the other hand, is a thicker paint made from calcium carbonate, talc, and pigment. Named after its characteristic chalk-white undertones, this extremely fast-grip paint is familiar in look and feel to matte white acrylic paint. Chalk paint was only developed in the ’90s by renowned industry expert Annie Sloan, and is generally sold today premixed in standard quart cans. No measuring and mixing required at home, but the convenience runs more expensive than milk paint. Both milk and chalk paints stick to myriad surfaces, from wood, masonry, drywall, and plaster to metal and glass—a DIYer’s dream. And with either medium, you can achieve everything from a thinned wash to an opaque coat. But because milk paint cracks, flakes, and distresses more easily, it is ideally suited for farmhouse-style kitchen cabinets and vintage furniture like antique dressers. As milk paint must be manually mixed and stirred before application, it can lead to a more unpredictable distressed finish—sometimes sloughing off in a fine powder, other times chipping away and lending winsome appeal to period-style pieces. Chalk paint, on the other hand, has a more easily controlled and consistent matte appearance that is apt for use in reviving outdated furniture, metallic accents like lamps and coat racks, and fabrics. 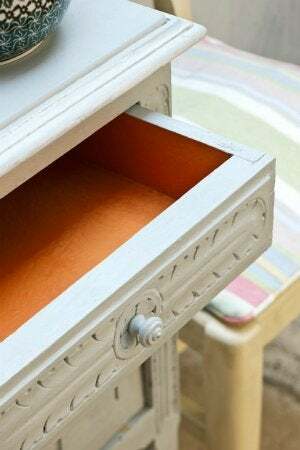 While chalk paint does not self-distress as readily as milk paint, you can sand it manually to achieve a soft, distressed finish. And now for arguably the best news: Neither milk nor chalk paint require either sanding or primer unless the surface in question is uneven or slick, in which case lightly sanding the surface is desirable before painting. You need not shy away from one or the other because of the effort involved. To create a non-distressed, uniform finish of milk paint, add a bonding agent to the paint for improved surface adherence. Otherwise, skip the bonding and allow the milk paint to self-distress. 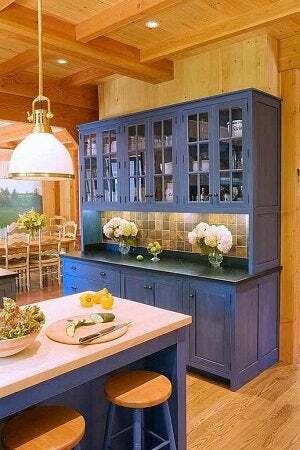 If spraying on for even easier application, milk paint should first be mixed, stirred, and strained. Chalk paints generally have such a strong grip that a bonding agent isn’t needed, although it can be added if desired. 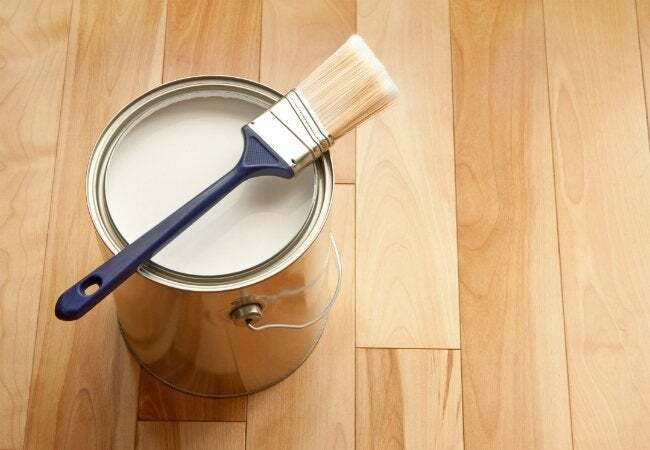 After preparing the surface and paint, use a brush, roller, or (when thinned) sprayer to apply either paint. In the end, whether you choose milk or chalk paint to reinvent your furnishings, consider sealing it with wax after 30 minutes of dry time for a winning—and lasting—finish.